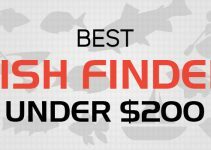 So you have a budget and looking to buy the best fish finder under 500. The good news is that within this budget you can get a screen size up to 5 inches. 5 inches is a reasonable size and can provide you precision on a screen that is essential to differentiate structure, bottom and fish. Also within this budget, there are different technologies offered like Down Imaging, Side imaging, CHIRP and Dual Beam. You cannot get 360-degree imaging within this budget but with 4 to 5-inch screen size, GPS combo and with few technologies this budget of under $500 can get you a really good fish finder on board. If you are not aware of what these technologies are, then scroll towards the bottom of this page and read a brief explanation of each. 5-inch colored display with 256 colors on 800 x 480-pixel matrix. The resolution is perfect for the screen size and offers crisp easier to see images. It is very important that the resolution be higher than at least 240 x 160 pixels. This Humminbird is way ahead than the critical point and into the safe zone. 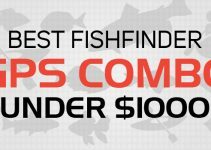 409640-1 makes into the list of best fish finder under 500 for many factors. It comes with Side Imaging, Down Imaging and Dual Beam sonar. This is complete arsenal to have a great fishing day on your vessel. You can view results from different frequencies on split screens. The 5-inch display screen with a perfect pixel matrix and easier to work user experience will make your life a lot easier on your boat. All the structure, fish, objects and bottom can be viewed on your hand. The power out in RMS is 500 watts while peak to peak power for the scanning is 4000 Watts. The maximum depth which can be measured with this fishfinder is 1500 feet with Dual Beam or 2D imaging while you can go a maximum of 100feet depth with the side imaging. There are other details also which come on the screen like alarms and temperature. Humminbird boasts its easy to use interface as you can control what to appear on the screen easily with Switchfare. The good news is that this fishfinder comes with inbuilt GPS with Unimap cartography which has maps stored for the inland US and along the coastal line of US. So if you are planning to do a fishing expedition in a new place then having a GPS combo fish finder is a bliss. You can drop 2500 waypoints on this device. Waypoints are dropped with just one button and they are not permanent you can easily remove them. In addition, 45 routes and 50 Tracks and 20,000 points can be marked with this fish finder. Navionics maps will work with this Helix unit. 4.3-inch display screen with backlight to help to view in bright sunlight. The pixel matrix is 480×272 to ensure that the images formed by scanning are crisp enough to be seen easily with a naked eye. The built is very strong and it can be used in all sorts of conditions. Some fish finders have been reported for internal fogging which makes the screen almost impossible to read crucial details. Raymarine has ensured that no internal fogging will happen on this device. Raymarine provides CHIRP Sonar wideband beam. Along with CHIRP Dragonfly 4 comes with 2 Channels – Sonar conical beam and Down vision wide fan beam. It is a complete package for an excellent fishing experience. You can explore the depth to 600 feet with CHIRP Down Vision and to 900feet with CHIRP sonar models. The unit comes with a 1-year warranty from Raymarine if bought within the US. The unit boasts it GPS capability with the ability to store 3000 waypoints and you can classify them into 100 groups of different waypoints. This classification will help from not mixing your waypoints. Also, you can place more interesting fishing spots in a favorite group. 15 tracks can be stored with each having an ability to retain 10,000 points. All chart media is meant to be stored onto a MicroSD card. It comes with Navionics chip preloaded with maps. Another cool aspect is hidden in the name. It is a PRO unit which means that it supports WiFi. You can download the Raymarine app into your smartphone and connect both smart machines. Open the app and you can view all the crisp images on your smartphone. The sharing option will allow you to share cool data on the internet with you your friends. 4-inch diagonal screen with a pixel matrix of 240 x 320 pixels which is just over the critical point. 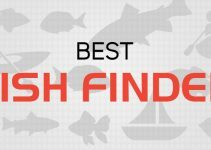 The model although makes into the list of best fish finder under 500 but it has the least pixel ratio in this list. Garmin has tried to overcome the deficiency by making the screen ultra bright to counter low pixel ratio. The model comes with Dual Beam and operates at 77/200 kHz. The larger frequency of 200Khz is used to measure the shallow water while if you are in deep water like ocean then you would have to use the 77Khz beam. The smaller frequency beep has better penetration power and goes deep. But as it goes down the frequency waves loses its power so the result you will get on the screen will be more blurry. If the pixel ratio is low like in this model then you might have trouble viewing what is on the screen. The maximum depth which can be measured with Dual Beam 77Khz is 900 feet which is pretty good at transmitting power of 500 Watt the root mean squared value. This is GPS combo Fish finder and has come with preloaded GPS maps for US inland lakes. You can put in more maps as there is a slot for MicroSD card. The number of waypoints that can be stored in this fish finder is 3000. The number of routes capacity is 100. The track log capacity is 50 and 10,000 points can be saved in this model. GPS is managed by internal antenna. The relatively smaller screen size of just 3.5 inches with a pixel ratio of 320 x 240. It is just over the safe zone by crossing minimum ratio requirement of 240 x 160 pixels. The screen offers 256 colors so it is just the starting good screen. The good part is that the display has the backlit which is something non-negotiable. In striking sunlight, you will be still able to see what is on the screen and analyze the details. Equipped with side imaging and down imaging you can scan the water and view in split screen. Humminbird has provided 4000-watt power on this machine. You can also avail QuadraBeam Plus but that would require buying an additional transducer if you can afford. The maximum output RMS is 500Watts with target separation ability of 2.5 inches. The standard sonar frequency is 200/83/455 kHz. The maximum depth that can be 100 feet with side and down imaging. While 1500feet with a dual beam. It is important to note that Amazon does not mention dual beam inclusion in this model while Humminbird official website says Dual Beam is included in this fish finder. The temperature sensor is built in within the transducer and transducer is mounted on the transom. Like other Humminbird model SwitchFire is included in this model as well. In addition to sonar recording, you can take screenshots of the display as well. It will take some time but you will get used to the user interface soon. Cone beams can be sent at 20 degree, 60 degree, and 85 degrees. You can gain wide and narrow beam splits as per your likings. There is one card slot included in the device and the software is upgradeable from the Humminbird. This model comes with GPS along with Humminbird UniMap cartography. It includes inbuilt maps for US inland lakes, rivers and coastal areas. Maximum of 2500 waypoints, 50 routes, 50 Tracks and 20000 points can be stored in the GPS. 5 inch VGA display with a pixel matrix of 480 x 640. You must have noticed that by sharing pixel matrix again for each model shows how much important it is. The better the resolution the better will be image definition. You will be able to differentiate between two points on the screen. If the pixel ratio is low, structure and fish will get mixed up and it nearly becomes impossible to track fishes. In addition, better pixel ratio helps in discerning fish with different sizes as well. A bigger arc represents a bigger fish while an arc less snowflake is not fish it is simply a spot. This fish finder provides Down Imaging, Side Imaging and Dual Beam Sonar. The cone angles are 20 degrees, 60 degrees, and 85 degrees at -10db. The standard sonar frequency is 200/83/455 kHz. The maximum power output is 500 Watts while maximum power output peak to peak is 4000 watts. The scan-able depth is 100 feet for side imaging and down imaging while for dual beam it is 1500 feet. The transducer is transom mounted. The temperature sensor is built in within the transducer. The model comes with UniMap cartography if you want to use Navionics plus maps then the model supports them. However, Navionics Platinum+ maps are not supported by this unit. Like other model storage for waypoints is 2500, routes are 45, Tracks are 50 and Points are 20000. Humminbird Mapping is also supported but like Navionics you would have to buy it separately. 1 MicroSD card is supported by this fish finder and it makes into our list of best fish finder under 500. Lowrance Mark -4 has proven track record and make into our list of best fish finder under 500. It comes with 4-inch black and white LCD. The black and white screen can be viewed comfortably in bright sunlight as well. The display also includes a special trackback system which serves the purpose of zooming in up to 400 percent. This helps in viewing hard to see the detail on small screen. The sonar system employs dual beam 83/200khz frequencies to scan both shallow and deep water and with 2100 watts peak to peak power Mark-4 scans depth up to one thousand feet. You can easily mount this on a trolling motor boat via tilt and swivel mount which comes with the package. Along with cursor control round keys there are 6 more keys below the main screen which give you complete easy control of the machine. Lowrance has one of the best user interfaces after hummingbird which is made even easier with easy to control buttons. If you are planning to go out fishing in the ocean then do not go without a GPS fish finder. Things can go wrong in no time when you are out on sharp river current. You might be enjoying fishing but you never know when you have crossed the safe limit and shoreline is miles away. In such a life-threatening situation you need a GPS to navigate your route. This is one big benefit of GPS as it gives you the freedom to roam. Additionally, GPS has the chart plotter where you can drop waypoints and tracks and follow them back to your favorite fishing points. It comes with a MicroSD card slot so you can put in high detail maps. Battery lasts for 8-10 hours and you can recharge it with a 12VDC battery. The 4-inch screen is the relatively small size and sometimes it is harder to see in it. Although the user interface is easier to use but some users have faced difficulty in turning GPS off. At first choosing, a marine life finder can be tricky if you are new to this hobby. There are a number of factors which make an enormous difference between an ordinary fish finder and a best aquatic life finder. From 2 inches to massive 9 inches. The best fish seeker in your money range can be of any size. However, it is very important to consider the screen pixel matrix. Pixel matrix is the ratio of pixels dispersed on to your fish locator screen. Greater the number of pixels greater will be the image definition. If you have a large screen and small pixel matrix then there will be low resolution and you will be on losing side. If you have a small screen and high pixel matrix it is a win situation. The minimum accepted pixel matrix ratio is 240h x 160w. Larger than this pixel ratio better is your resolution. But do keep in mind that if you are comparing two best fish finders both have the same screen size then you must compare pixel matrix of both. The one with more pixel matrix will have better image definition. Fish seeker displays results on screen in the form of images. The way the image is appearing will depend on the technology whose result you are viewing. In any technology result, where fish are appearing in the form of snowflakes, dots or arches it is the screen resolution which will help you identify the object of interest. If you have low pixel matrix for a big screen then you will be confusing objects of non-interest as fishes. Reading a fish finder can be tricky at times. Fish forms arches around themselves. A large object promising to be a fish can only be a boulder with a tiny fish on top of it, causing it to appear orange. You will be tricked into thinking that it is a huge fish and might lose an hour hunting for the wrong catch. But if you had better resolution and little more experience with best marine life finders then you will be quickly able to understand the image on the screen. Because you will have better resolution, better temperature depiction on screen. The orange color would not be distributed on the boulder and remain limited to the fish only. Fishfinders come in colored version or greyscale versions. Both can be operated but these days working with something not colored is usually not acceptable. Greyscale screen depth finders are less expensive than a colored best fish seeker. You can find fish with both of them but it will be easier to understand the image with a colored screen then with a non-colored screen. The heat reflected back from fishes is displayed on the screen in orange shades. If the screen is a grey screen then you will not be able to see these identification markers. You will mistake objects of non-interest as fish. As different scanning technologies depict fishes as dots, snowflakes, arches etc. So, when you are comparing best fish pinpointer see what you are comfortable with. There are many kinds of best fish finders available. We can categorize them into two specific categories. One is the stand-alone fish finder which serves only the purpose of telling you where is the fish. The second type is the combo GPS fish finder. The combo will not only tell where is the fish but also tell you where is the sweet fishing spot located on the map as well. You will be able to integrate great maps from Navionics Gold+ or Navionics Platinum which will have all the maps and their details. You can also save great fishing spots you find on the map. So, the next time you return you can simply turn on the GPS and locate where was that point where you’re held many catches last time. The GPS will not only tell you where is the fishing spot but also make a track on the map which you can follow to reach there. Some best fish locators have the ability to make the safest possible track, which means that if last time you reached at the fishing spots taking an odd turn in odd remote locations then this time it will be a newer and safer shorter way. It all depends on your budget If you are not a very passionate angler or even if you are passionate angler but you fish on a kayak on your local lake. In such a situation, you can rely on the standalone unit. After all, you know your backyard better than anyone else. So, why spend extra bucks. But if you decide to do so then the GPS is not going to be a luxury, you can still benefit from it. Another great plus with a GPS combo fish detector unit is the promise it makes to ensure your safety. If you are a saltwater angler then you need to double check your location all the time. Sharp ocean currents can drive you away from the shoreline in no time. You will be mesmerized by the view and soon you have lost signals on your mobile phone as well. This is common and can prove fatal. With a GPS combo fish finder, you will know where you are at all the time and ensure your safety. So, the next time you go for saltwater fishing you will be confident of the adventurous journey. Another important aspect is the transmitting power. It is the amount of power your GPS combo depth finder or standalone marine life finder sends into the water. Greater the power more will be the signal strength and more will be the scanning ability. Greater strength means the depth signal is analyzing, it will be scanned more efficiently and with more details. So, a signal with lower strength will not be able to efficiently touch the object and dissolve in water. But it is not a one-way journey. Fish finders work on the principles of sonar waves. So, a signal which spreads around in the water also has to make the coming back journey as well. The reflection if not strong then it will not be able to reach back to the transducer. Transducer when receives signal of inferior quality it will not be able to send quality images back to the display unit. Display unit will receive a substandard quality signal and the image processing done will not be up to the mark. In the end, the user will see a blurry and mixed image on the screen and it will be difficult to locate where is the fish. So, keep in mind the transmitting power when buying a depth finder. If you are confused between two best depth finders then compare their transmitting power as well. As the name suggests and explained in transmitting power. The frequency of the signal sent by a transducer in a fish detector is called its operating frequency. There can be more than one operating frequency of a transducer. It depends on the kind of technology employed by the fish finder. The higher frequencies have smaller wavelength and are able to scan the shallow water. So, if you are in a kayak on a local lake which is not very deep (more than 100feet) you can rely on a fish spotter with only the capacity to operate on one frequency. The lower frequencies have larger wavelength and have great penetration power. So, if your depth analyzer operates at lower frequencies then it can scan at greater depths as much as 1500 feet. So, you think you only need lower frequency transducer? Well NO! you need a transducer which operates both at high and low frequencies. The low frequency although can scan greater depths but at shallower depths its performance is substandard. You will not be able to see what is just under 5-10 feet with a low-frequency beam. So, a marine life finder with mixture of both, high and low frequency will be best. Marine life finders come in two types when in terms of the battery as well. One works on batteries. There is room to install batteries typically 4 AAA batteries. It is great in a sense that it will be portable you do not need to worry about cables. But there is a problem as well. Such depth finders batteries last for typically 6-8 hours. You would need to either buy rechargeable batteries or buy back up batteries unit. Also, such fish finders performance go down as soon as the battery voltage drops below a certain point. So, if you are using it on the 4th hour of the 6 to 8 hours usage time. You should keep in mind that fish detector performance would be going down with every hour. Because whether low or high frequency, your signal will not have the strength. It will not be able to reflect back completely and bring in the complete information back to the transducer. So the 4th-hour image processing will be lower in quality to the first hour. The second type of depth finder is the one which takes a direct input voltage from a 12V DC battery and very rarely 110/220V source. Such battery will have the problem of cables and managing a big battery on your vessel. If you are in a kayak then every inch is gold and giving big space to your battery is very crucial. Also, you have to make sure that all the wiring is completely waterproof. There are some situations where you have to compromise and even use a battery fish finder on your kayak. Buy if you are on a boat then you do not need to worry about the power source. As most boats have their own battery output. Also with an inbuilt battery, you do not need to make waterproof arrangements. In addition, on boats, you have plenty of space so the space factor is also balanced. So, it depends on your style of fishing. The kind of vessel you are on, how much portable your other equipment is. So, when comparing two best fish finders within your budget prefer the one which is more portable and powerful. Fish locators can vary in terms of their portability. There is a wide variety of best depth finders available to cater needs of each type of angler. You can mount the depth finder on a dash mount on your kayak, boat etc. You can also keep it in your hands and move around with it on your boat. This is a matter of personal preference. It can be troublesome to mount a marine life locator on to your dash mount but once you have fixed it there. It will be worth it to view results in a fixed place. But why have a display unit and manage space for it. Why not give this image processing and displaying image job to your smartphone? Your smartphone can be as smart as your display unit. Some best fish seekers come with the ability to integrate results with your smartphone or they don’t have a display unit at all. Instead, all the results from the transducer are sent directly to your mobile phone via wifi or Bluetooth. But it’s not all gold there are shortcomings of such units as well. Such smartphone integrate-able fish finders are rated as best fish seekers by some but you should keep in mind that they can operate at specific ranges. Wifi operates at 130 feet while Bluetooth operates at 100 feet long. Also at a lower temperature, these signals lose their power and it you will get connectivity issues. You should also check whether the device is durable or not. Best depth finders must be waterproof. It should be able to withstand water splashes. Humid ocean air should not trouble your aquatic life finder. In wintry weather, there should be no internal fogging on the screen. The fish spotter should also be shockproof. There will be strong water current every now and then which you will experience on ocean or river. Usually, all the good brands are very good when it comes to durability. So, if it is a famous brand you should not worry much about the durability. Best depth finders boast great user experience. When you use it for the first time it should not take you much time to understand what all the features or buttons are about. You should be able to move around the operating system without much trouble. A lot of efforts have been made to make user interface and user experience as smooth as possible. But one brand which is ahead of all depth finders is Humminbird. They enjoy the crown of being the most user-friendly handheld devices. Although Lowrance is providing great touchscreen fish spotters Humminbird is still ahead in the race. But the downside is that Humminbird best fish finders are more expensive than most brands. Mounting a transducer can be tricky. You may or may not get best results with the transom mounting. Sometimes trying something new works best for your transducer and hence the results. In transducer transom mounting you simply have to connect the transducer with a hook outside of your vessel. Sometimes you are on a big vessel and it’s very much possible that you run out of transducer wire to your sitting place. In such a situation, you have to manipulate the art of transducer mounting. These few methods will help you out. Most boats and kayaks come with a built-in transom mount. Usually, you do not need to alter the transom and mounting should be easy. If you are a kayak angler then you can consider hull mounting for your transducer. All you need to do is to open the hatch and clean the hull as much as possible. Then attach the transducer with epoxy transducer glue to your hull. It will give excellent results and will save you space on your kayak. Another kind of transducer mounting is magnetic mounting. It is very easy and convenient. You have to buy a magnetic strip that you will join to the inner side of your boat. The boat has to be 13mm thick to make the magnet effective or magnet should be powerful to withstand strong water currents. On the outer side of the boat connect the extensions and do the necessary nuts and bolt action to make the hook. There will be no drilling and no damage to your vessel and your chosen best depth finder for the money will be easily manageable. These are just some of the methods that will help you in mounting. So, when you have chosen two fish finders you calculate how easy it will be for you to mount the transducer on your boat. Different aquatic finders come with different kind of scanning technologies. It can be confusing to select the type of scanning technology which suits your style. In this list of best fish seekers, you will find all sorts of underwater life locators. It all depends on your budget. The more scanning technologies you are equipped with better will be your ability to scan the water. It is worth noting that you might already have a fish finder. Do not look to add more technologies and try two best water life finders combo on your vessel. It is only going to make your life more difficult as an angler. Look for something which has more scanning abilities than your last aquatic life spotter. Single beam scan operates at one frequency only. These depth finders are entry level depth finders. It is a basic scanning transducer. But it can still scan and display results depending on whether it is a high or low-frequency beam. As your boat moves forward thin slices of single beam signals are thrown downward. These thin slices get compiled and make a big triangle. The wider the cone angle wider scanning will be done. Smaller the cone lesser will be the scan spreading but more will be the depth. These beams provide results for either shallow or deep water. It is a great addition but certainly not the best or the most sophisticated scanning transducer out there. Very similar to down imaging, as the name implies side imaging scans what is on the side of your boat. It is an excellent addition and works great in combination with down imaging. The area which side imaging can cover is usually 240 feet. So, both left and right sided will be scanned by the transducer. The echoes received back by the transducer are then sent back to the display unit which compiles the data of what is happening in the surroundings. If your fish finder comes with both down and side imaging then you can see the compiled results on split screens on your display unit. Dual Beam as implied by the name uses two beams combo. The combo includes two frequencies one of higher frequency and other of lower frequency. The larger frequencies of 200Khz have smaller wavelengths and are not able to go very deep into the water depths. The echoes which return back do not have the bottom floor results as it is meant to scan what is immediately under your vessel. The second beam is of lower frequency which is typical of 77 or 83 kHz. As mentioned in this post lower frequency beams have larger wavelength are able to scan water at greater depths. But they are not able to scan shallower water depths. So, a combination of both low and high-frequency beam will show football field sort of split screen on your display unit and you can view the result. It will take some time but within 2-3 experience, you will be better able to read the results. Conventional CHIRP is a game changer. It is a step ahead of dual beam sonar. Instead of sending two beams of frequencies CHIRP sends a band of beams. Spread from low to high end. Each frequency scans the depth it is specialized to scan. CHIRP comes in modes of scanning from 28Khz to 210Khz. These bands are divided into High, Medium and Low range. Typically, when you will buy a CHIRP marine life detector it will have the capability of operating at two ranges. This 28khz to 210khz is further divided into three regions. 28 to 65 kHz for low range scanning that can scan as deep as 10,000 feet. Medium range scanning from 85khz to 135Khz that can go as deep as 6500 Feet. While high range 130Khz to 210Khz that has the ability to scan up to 3300 feet. It all depends on your style and place where you are fishing. Having CHIRP will increase your ability massively and these days CHIRP has become a must attribute in the best fish finder. Like the dual beam sonar, there is an alternative to it called Dual Beam CHIRP. Conventional dual beam sonar can only send just two beams of frequency signals into the water. Dual Beam CHIRP differs from dual beam sonar by sending a band of frequency from low to high frequency. Therefore, each frequency scans what it is best for. The transducer gets results of the echoes from the band of frequencies and you get a very refined result on your screen. Dual beam CHIRP is a high-end technology and many underwater life locator brands are offering this scanning technology at very reasonable prices. It is the Lowrance provided technology. Which scans what is underneath and displays 3D image of the objects scanned. It was not built for depth finders but rather made for military use. You can view the 3D scan results on your screen but just like I said it was not meant to find fish but to make structure on to the screen of what it is scanning. Therefore, you need to combine results of structure scan with CHIRP or Dual Beam or Dual Beam CHIRP to compare results of both sides by side and double check your fishing spot with tremendous accuracy. This is the best and state of art scanning ability. It comes only in high-end devices and Humminbird is the pioneer in this technology. It’s the best and the most you can get out from the best depth marine life locator. If you are using a fish finder with technology other than 360 imaging then you have to move around on your vessel for the frequency slices to get compiled and you can view the scan results on a wide area. However, 360 Imaging is a game changer. Without moving it tells you what is ahead, what is back, what in on the right and what is towards the left of your vessel. You do not need to move an inch to get the scan results. Although it is no more an old technology but is still the most sophisticated technology that comes in a fish finder. Humminbird came up with it first and soon as they brought it into the market they won the best fish detector award. The screen, however, is not touching but Humminbird also boasts of the best user interface. So, If you have a good budget and looking to get the easiest and state of art scanning transducer then look for Humminbird 360 imaging. So if you managed to read the entire article then you must have understood what you need. It’s important to identify your style first. If you are once in a blue moon angler then you can choose a fish finder within the range of $200. However, if you love doing fishing and can afford to buy best fish finder under 500 then there is a clear winner in this article that is Raymarine Dragonfly 4 Pro. But if you cannot compromise on user interface then the good news is the easier user experience providing company is enlisted in this list. The name is Humminbird and the model number is 409640-1 HELIX 5. It comes with dual beam – Side and Down imaging and is Helix Pro Series fish finder. Splendid effort. I do agree that GPS is a necessity for fish finders. I am more inclined towards the Raymarine set from this list. If you are referring to DragonFly series, then it’s an excellent choice. Massive article. You have covered tons of details. Do you think that I should get a 360 scan from Humminbird? Yes if you can go over the budget of 500 then you should go with 360 scan. Raymarine dragonfly matches my requirements. Anxiously waiting for package to arrive at my doorstep.